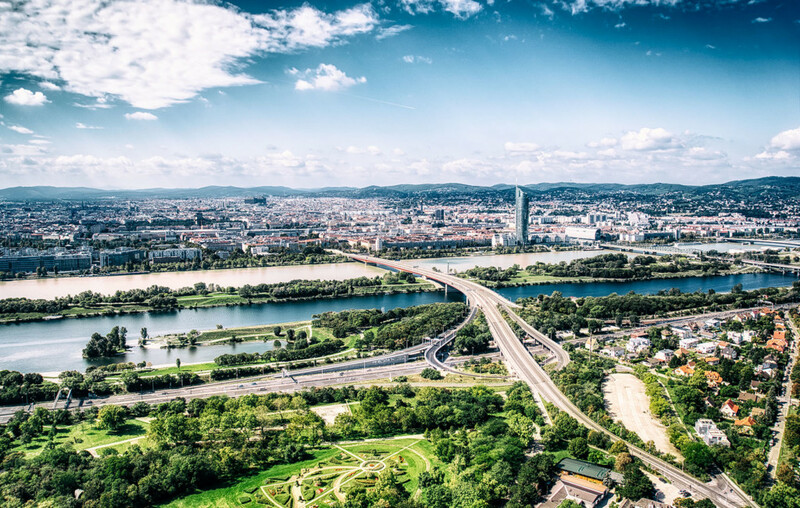 The picture shows Vienna from the Danube Tower. You can see the “New Danube,” the original Danube, the Millenium Tower, the Brigittenauer Bridge and on the right side the Kahlenberg. The observation deck has a height of about 160 meters, a good starting point for aerial shots. And the only possibility, because flying with drones is strictly prohibited over the city.